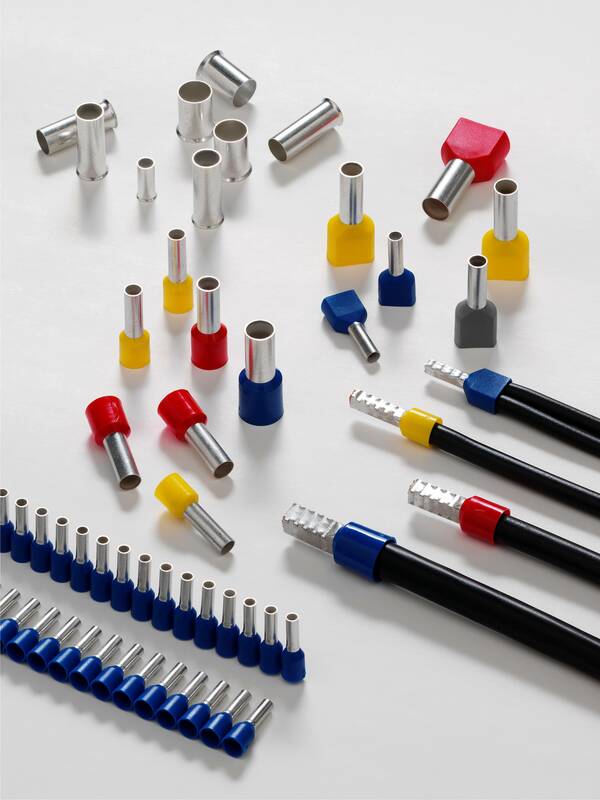 Bootlace ferrules are a growing consumable part commonly used in the electronics industry. Otherwise labelled as wire end sleeves, ferrules, wire end crimps, cord end ferrules etc. These small parts play a great roll in reinforcing the end of a piece of wire prior to being fitted into a screw down or spring clamp connection. CST Automation Limited supply a full range of bootlace ferrules, both uninsulated and insulated in 3 different colour codes. Working closely with GLW GmbH as the exclusive distributor in the UK and Ireland, we carry in excess of 7 million parts in stock with the aim to deliver immediately from stock. To compliment the bootlace ferrules CST Automation Limited also supply manual and semi-automatic equipment to apply and crimp the bootlace ferrules onto the wires.